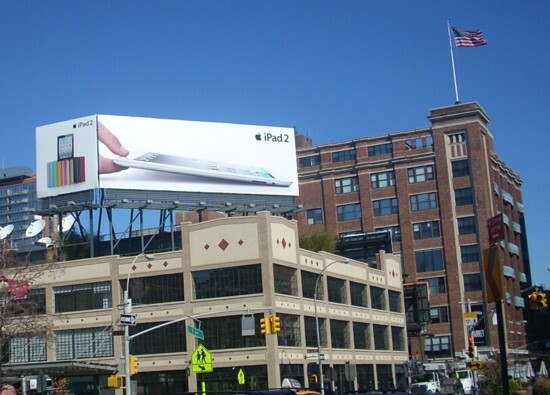 This iTunes Beatles billboard is in New York City, a few blocks north of Canal Street, in the vicinity of the entrance / exit of the Holland Tunnel. This installation of the iTunes Beatles billboards has the Empire State building in the background. 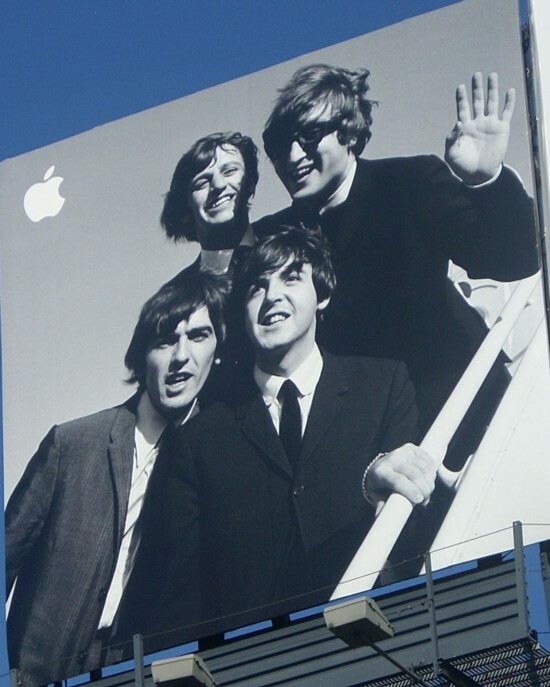 Using the same theme as the NYC Apple Store Beatles billboards and the iTunes Beatles Lincoln Tunnel billboards, the Fab Four appear as towering figures. 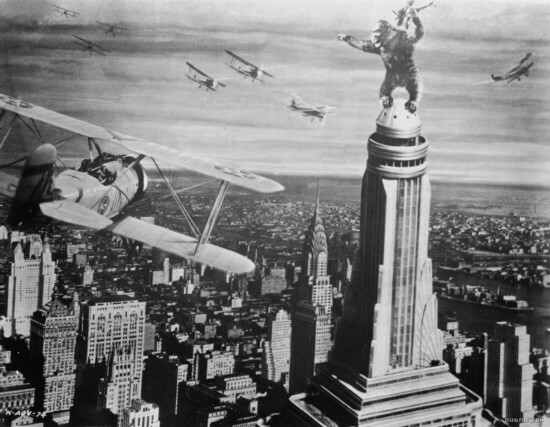 Apple portrays the Beatles as surpassing King Kong — the raw primal id that in the end was dwarfed and defeated by technology. 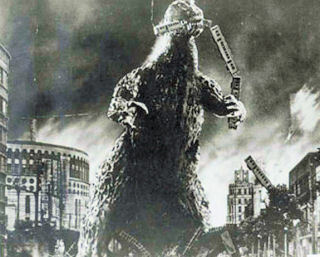 Here, the Beatles stand head and shoulders above the skyscrapers, following in the footsteps of Godzilla — that release of the reptilian brain through science, just like the electric music known as Rock and Roll. 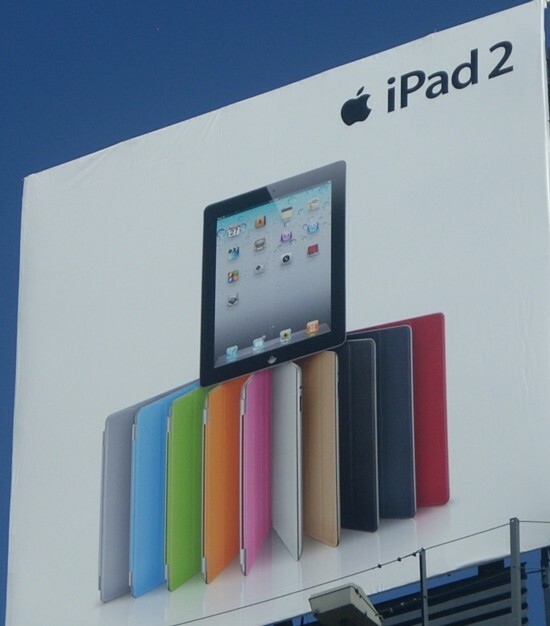 The Apple iTunes Beatles billboards are a poor implementation of a bad concept — or more likely lack of concept. 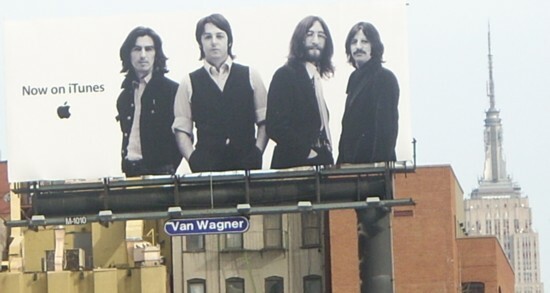 The extremely high resolution gargantuan images up in the sky seem intended to prove Charles Manson’s belief that the Beatles were the angels of the Apocalypse. A much better and more interesting plan would have been to use highly-pixelated contemporary newspaper photos or album covers. Grainy pictures from early ’60s TV also would work. The AARP crowd (who saw the Beatles on Ed Sullivan, bought the 45 vinyl records, went to the Shea Stadium concert, etc.) would immediately relate to these images. Plus, those over 50 might not now be in the habit of listening to MP3s and are unlikely already to have a hard drive full of peer-to-peer download Beatles songs. Properly reintroducing the Beatles would be opening the virtual doors of the iTunes store for the original Beatles fan demographic.